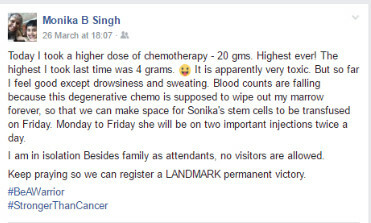 Help my teacher to fight her cancer and live her dreams! 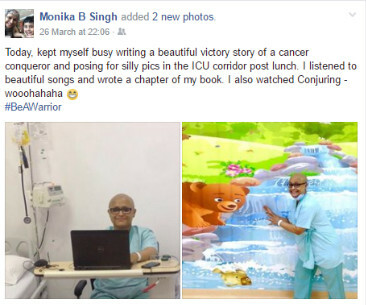 Monika Bakshi, a brave heart and an excellent teacher by profession. 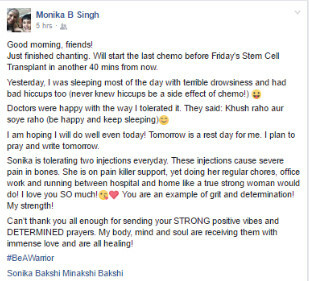 She is suffering from Acute Myeloid Leukemia since August 2016. She has only one dream. 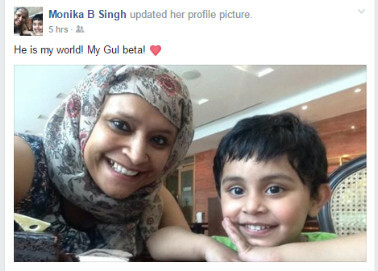 she wants to raise her son into a responsible, and an independent adult. 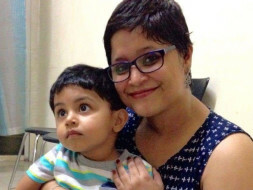 For this, she needs a life-saving bone marrow transplant. 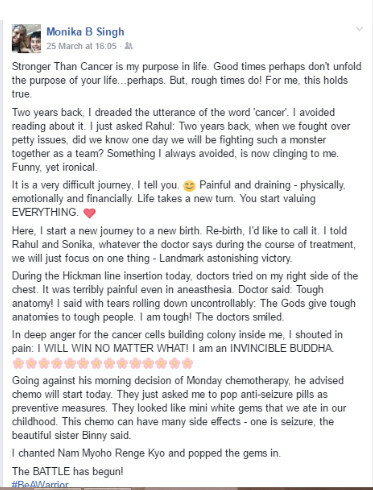 She hax exhausted all the savings in her chemo and post chemo medical care. 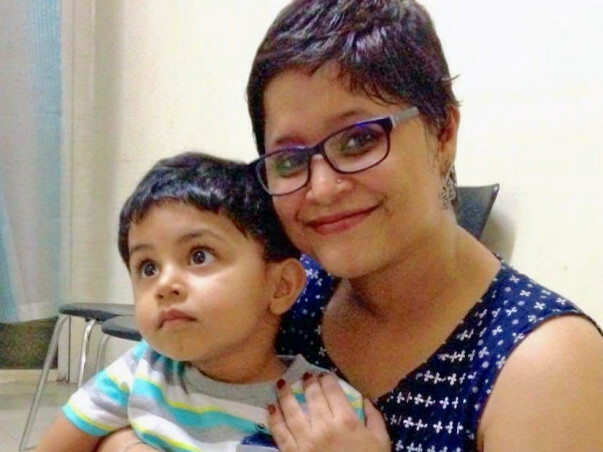 She needs more 20 Lacs for her bone marrow transplant. 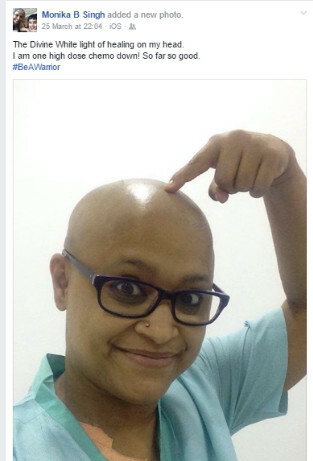 Help this brave soul to live her dreams. 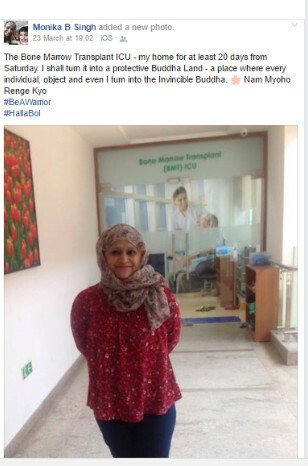 Have a blessed life ahead! !